Oxhey Golf Course in 1920, a plan which I drew in 2003 after lengthy consultations with golf historian, Don Dunham, and local historian, Neil Hamilton. The original map is currently on display in the Oxhey Park Golf Clubhouse, Prestwick Road, South Oxhey. 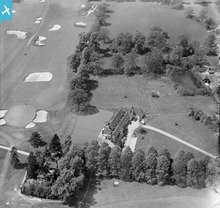 The layout was considerably altered in 1936 to achieve a better balance between the front nine and back nine holes. 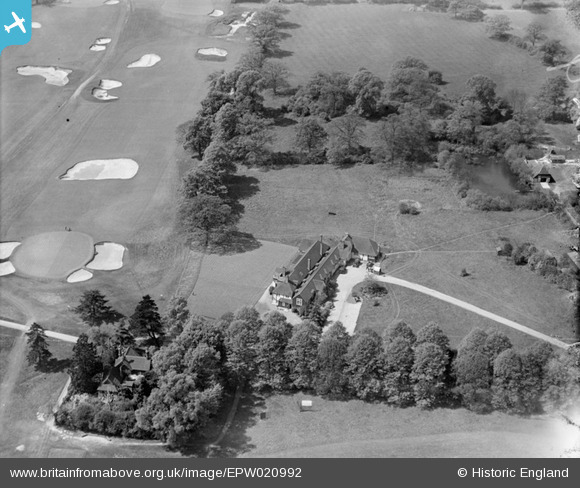 This image shows the 1912 Oxhey Golf Clubhouse and the practice putting green, next to the 18th green, in a view looking west up the championship course. The full course measured a long 6,539 yards and the Standard Scratch Score was 78. The golf course was designed by Harry Vardon and the professional was fellow-Channel Islander, Ted Ray, who was appointed from 1912 until his retirement in 1940.